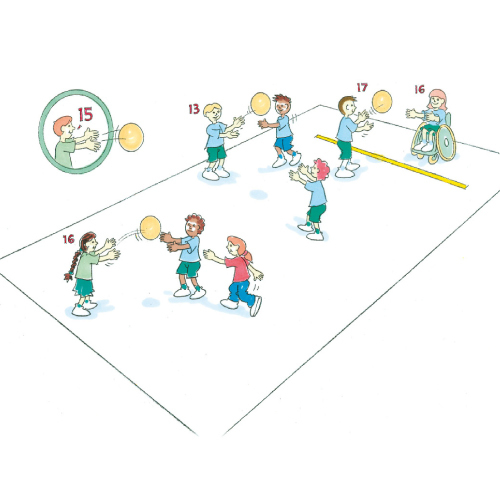 Ten trips links to activities requiring throwing and catching. Players pass the ball to each other to complete 1 trip. Continue until 10 successful trips are made. Once you have caught the ball, what do you do to make sure it doesn’t fall out?